So youʼve proven your worth in the past. We know you can run an ordinary TV network. Big deal. We have a bigger challenge for you. Here are 12 unique Network Executives, each with their own weird characteristics. Every Executive has powers, but they also have significant liabilities. Can you master each executiveʼs idiosyncrasies, draft the best Season 0 cards, claim your true status as a Mogul, and come out on top? 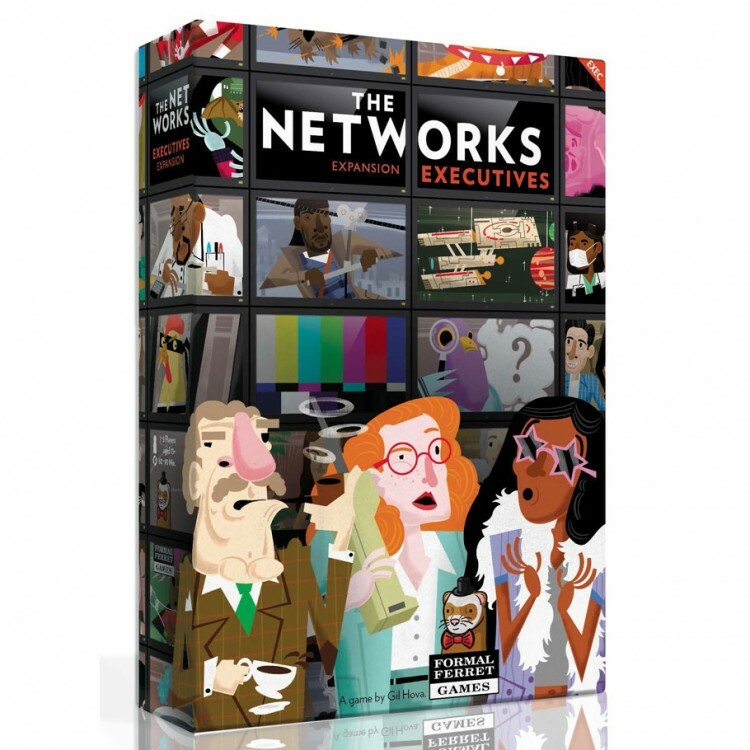 The Networks: Executives is an expansion to the hit board game The Networks. You must have the base game The Networks in order to play it.